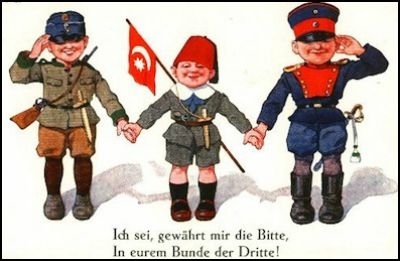 Turkey had no trouble forging alliances a century ago. Turkey is too big, too Islamist and too un-European for the EU; too little Islamist and a disliked former colonial power for most of the Arab street; a sectarian and regional rival for Iran, and a security threat to the bigwigs in the Shanghai Cooperation Organization. Theoretically, Turkey is a NATO ally. In reality, it is a part-time NATO ally. It became the first member state that had military exercises with the Syrian army and the Chinese Air Force; awarded a NATO-sensitive air defense contract to a Chinese company; supported jihadists in Syria and the Muslim Brotherhood elsewhere in the Middle East; allied with what NATO nations view as a terrorist organization (Hamas); shared, until recently, an embarrassing list of potentially terrorist-sponsoring countries with seven others including Syria and Pakistan, and sported a population with the lowest support for the NATO alliance. Also, theoretically, Turkey is a member candidate of the European Union [EU]. In reality, since 1974, Turkey has been occupying one-third of the territory of an EU member state, Cyprus; it boasts a record number of violations of human rights, according to rulings by the European Court of Human Rights; it remains the EU's dreaded problem in most areas of fundamental policy; it habitually (and undiplomatically) ignores EU calls for broader freedoms; and it is gripped by a deep distrust of the EU. A most recent survey, "Public Opinion in The European Union – November 2014," conducted by the European Commission's Eurobarometer, revealed that only 18% of Turks trust the EU. Just recently, Russia's prime minister, Dmitry Medvedev, recalled a joke by his predecessor Viktor Chernomyrdin [prime minister between 1992 and 1998] who once was asked by a journalist when Ukraine could join the EU. "After Turkey," Chernomyrdin replied. When should we expect Turkey to become a member, asked the journalist. "Never," he said. During most of the 2000s, Turkey's soul searching, coupled with its leaders' apparent quest for the revival of pan-Islamist and neo-Ottoman ideas, pushed the country into the illusion of a "Middle East Union" to be led, of course, by Turkey. Instead, Turkey in the post-Arab Spring years has found itself as the target of enmity in the Middle East. Many overt and covert hostilities and tensions created diplomatic crises with all countries in the former Ottoman lands -- except one: the tiny hydrocarbon-rich emirate, Qatar (along with Hamas). With its neo-imperial ambitions and Sunni Islamist policy calculus, Turkey once again fails to fit any alliance's broad foreign policy and security structure. Theoretically, Turkey is the regional empire in the Muslim Middle East. In reality, it is an unwanted ally. So, the soul searching continues. In January 2013, President [then prime minister] Recep Tayyip Erdogan publicly toyed with the idea of Turkey seeking its future in another alliance: the Shanghai Cooperation Organization [SCO]. Since then, he has mentioned this desire a couple of times. In November 2013, Erdogan once again demanded a seat for Turkey at the SCO from Russian President Vladimir Putin, as this would "save Ankara from the troubles of the EU accession process." "Allow us into the Shanghai Cooperation Organization and save us from this trouble," Erdogan asked Putin. A few years earlier, Turkey had behaved like the "bizarre ally" it was: it became the first NATO member state to become a "dialogue partner" with the SCO. But is there a future for Turkey in the SCO, sometimes call the "eastern NATO plus EU?" Theoretically, yes. Turkey, with its democratic culture and Erdogan's increasingly authoritarian rule, looks like a perfect fit for the group. Its members already include Russia, China, Uzbekistan, Tajikistan, Kyrgyzstan and Kazakhstan (the SCO's other dialogue partners are Belarus and Sri Lanka. Countries with an observer status are Afghanistan, India, Pakistan, Iran and Mongolia). But actually, Turkey is probably no more wanted in the SCO than in the EU or among Arab nations in the Middle East. The SCO's heavyweights are Russia and China, both of which support Syrian President Bashar al-Assad, Erdogan's one-time best regional ally and presently his regional nemesis. During Putin's high-profile visit to Ankara at the beginning of December, Erdogan had to admit that Turkey and Russia "keep on falling apart" on the issue of Syria. For Russia, Turkey means $$$$$: Tens of billions of dollars in bilateral trade -- a perfect client for Russian natural gas, as well as a potential transit route to export gas to third countries. But it also means a hostile country ruled by Islamists who seek Sunni supremacy using jihadists, Hamas and the Muslim Brotherhood to expand its regional clout in the Middle East, often against Russian interests. For China, too, Turkey is a good client. Unlike Russia, Chinese companies actively win infrastructure, telecommunications and mining contracts in Turkey. But like Russia, China, too, deeply distrusts Turkey politically. China's most pressing domestic security issue, the ethnically Turkic Uighur Muslim separatists in the western province of Xinjiang, has a Turkish connection. Chinese authorities often accuse Turkey of harboring Uighur terrorists and allowing jihadist Uighurs a safe passage between Syria and China. With its neo-imperial ambitions and Sunni Islamist policy calculus, Turkey once again fails to fit any alliance's broad foreign policy and security structure. The soul searching will have to go on. Turkey is too big, too Islamist and too un-European for the EU; it is too little Islamist and a disliked former colonial power for most of the Arab Street; a sectarian and regional rival for Iran, and a security threat to the bigwigs in the SCO.